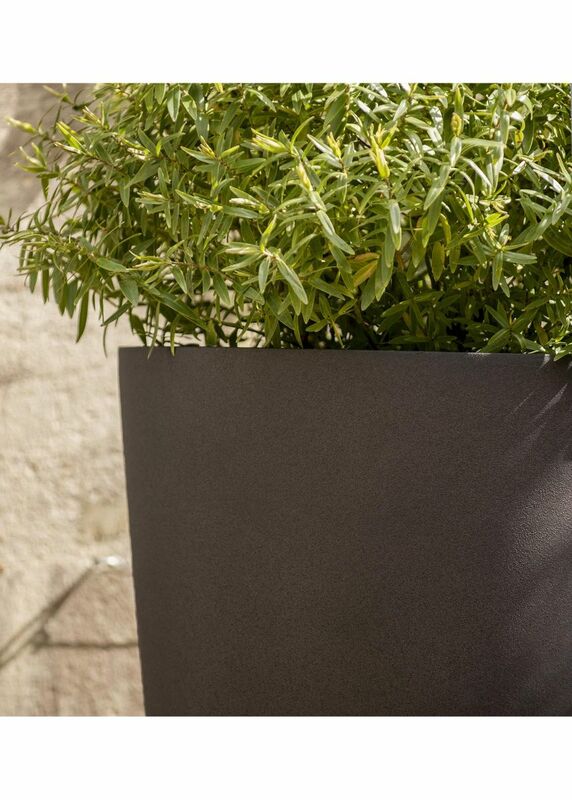 Contemporary, smart, lightweight and available in some really large sizes, Forum planters are a great choice to give your outdoor space an instant update. 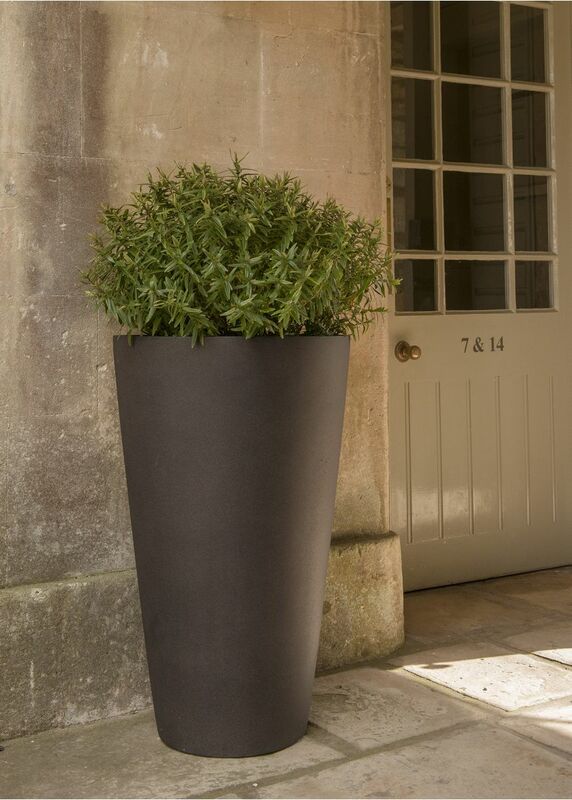 They are made in top quality fibreglass (GRP) which is extremely robust and completely weatherproof, while being light enough to be handled easily. 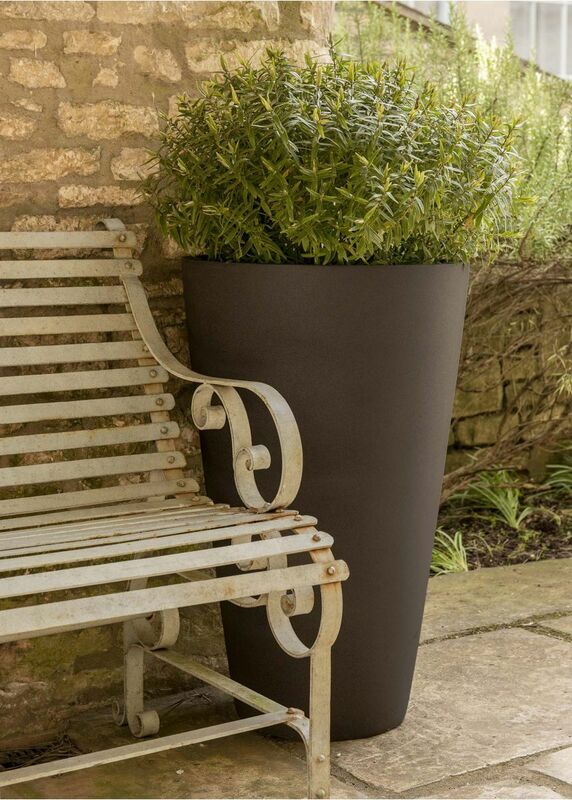 The ‘Espresso’ colour is black with the faintest hint of brown (noticeable really only in sunlight) which sets off leaf-green foliage particularly well. 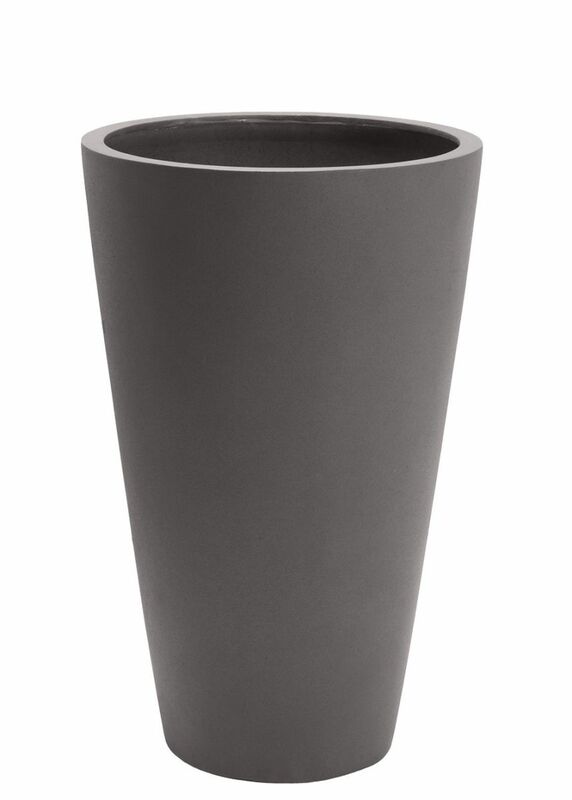 This large Conical planter is very striking and would look fabulous at an entrance. 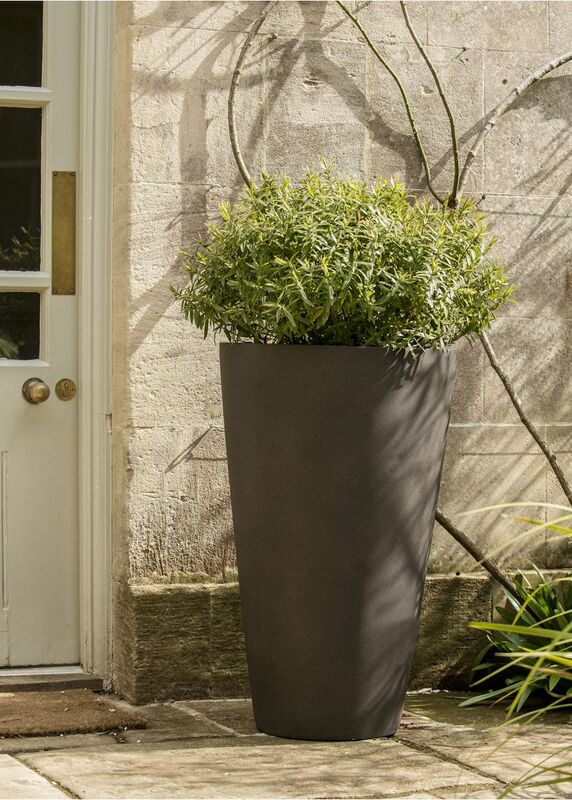 Planting tip: with shapes such as this, it is best to put a good amount of weighty drainage material in the bottom (large stones, bricks etc) to avoid the planter being top-heavy. Other sizes in this shape are listed separately. Material: Fibreglass and polyester resin (GRP). Sample tiles available on request. This product, due to its size and/or weight is delivered on a pallet by our dedicated delivery service, together with any other items ordered. The charge is £40 per order, irrespective of the number of products.